Today is International Transgender Day of Visibility, it has been celebrated on March 31st from 2009 and set up to be a positive counter point to Transgender Day of Remembrance which focuses the loss of transgender people to hate crimes. Some people are out and visible, some choose not to be and for some it’s not safe to be; all of which are barriers and complications to accessing health care, including abortion services. We, the Abortion Rights Campaign know and acknowledge that not everyone who may need Free Safe and Legal Abortion in Ireland is a woman. We know that gender is not a biological binary and people who have wombs can have a gender identity along a whole spectrum. We have consulted with Transgender Equality Network Ireland (TENI) and try to be inclusive, both in terms of the language we use and our approach. We invited TENI to run a workshop for our members to give guidance on this. When we met, we discovered that there were issues that TENI and ARC members have in common: concerns about the right to bodily autonomy and the need to travel outside of the country for health care. 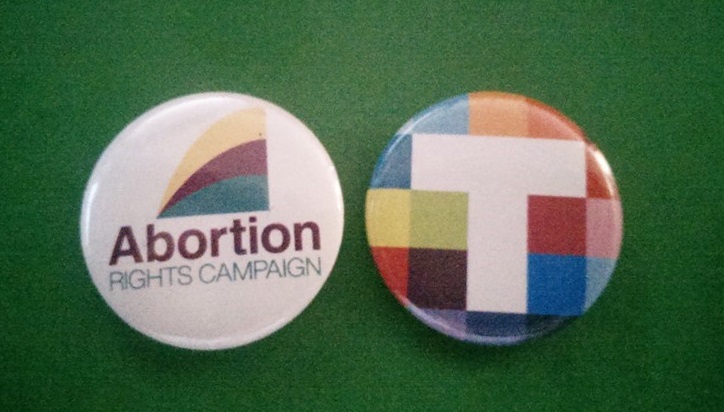 We also are pleased to say that the Abortion Support Network who help those who need to travel to the UK for an abortion with information and if possible a small grant, does not not ask gender when communicating with those seeking help and gender identity is not a barrier to that help. We, the Abortion Rights Campaign are committed to working for Free Safe and Legal abortion for everyone who needs one.